Backstage Knitting is at it again! We are collecting, making, and piecing together Welcome Blankets for immigrants and refugees and would love to have you with us! The Welcome Blanket Project is collecting blankets for immigrants and refugees. The goal is collect yards and yards of comforting and loving blankets. They will be featured on display at the Smart Museum in Chicago before being sent to immigrant and refugee help organizations. (www.welcomeblanket.org )Let’s come together as a community to help this great cause! We will have a live musical performance from Zachary Kellogg, our shows theme song composer and international award winning musician. 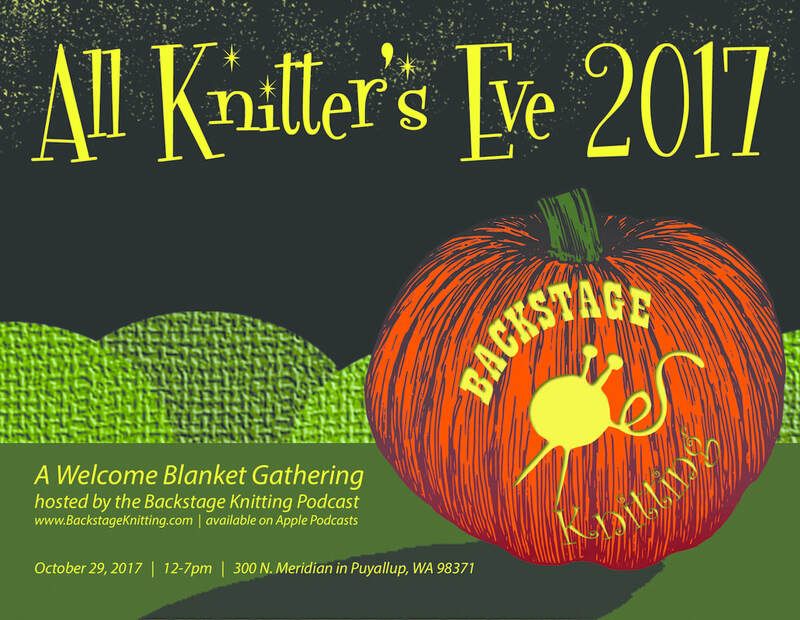 Raffle prizes from Fancy Image Yarn, Knitted Wit, and The Nifty Knitter are up for grabs with more coming in every day! More event information can be found on our Facebook event page!